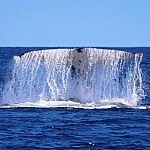 Here in Western Australia we are fortunate to have Whale Watching and Wildflower seasons coincide. 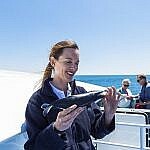 Enjoy both of these nature experiences over two spectacular days with our Whale Watching & Wildflowers package. 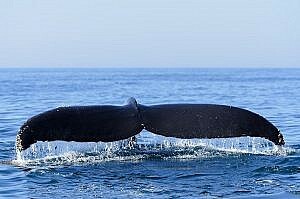 On one day, get up close and personal with the majestic Humpback Whales on our 2 hour Whale Watching Cruise. 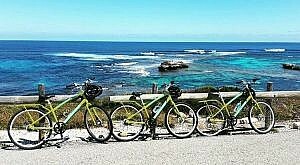 On another, experience the Full Day ‘Perth’s Best Wildflower Tour’, taking in the beauty of the spring wildflowers. Experience the thrill of coming face to face with the majestic Humpback Whales on their annual migration along Western Australia’s coastline. 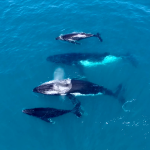 Every year, from late August through to November, the whales can be sighted at play, frolicking in the waters off of Hillarys Boat Harbour. Enjoy an up-close and personal experience with these gentle giants, taking advantage of three separate viewing platforms for the best possible view. Set off with a botanical guide and travel to various locations on Perth’s outskirts in search of the finest wildflowers. 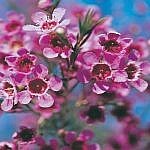 With the help of your guide, identify rate and delicate wildflowers, including renowned Everlastings, Orchids, red and green Kangaroo Paw, Banksia’s, Bottle Brush, and Western Australia’s most famous orange flowering Christmas Trees. 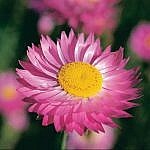 There is ample time to identify and photograph flowers. To ensure you view areas with the most abundant wildflowers, the exact itinerary of this tour will be unknown until the day of departure. Tours operate September to early/mid November, available Sundays, Mondays, Fridays and Saturdays. 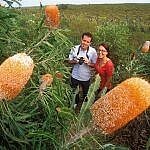 Full Day ‘Perth’s Best Wildflower Tour’ operated by ADAMS Pinnacle Tours. Complete the form below with your preferred travel dates and one of our friendly Reservations team will be in touch to confirm your booking. 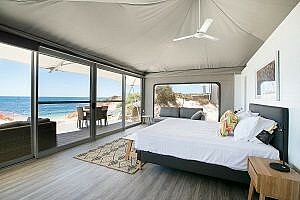 Courtesy coach transfers are available from certain hotels in Perth City, Northbridge and Scarborough. Please note on your enquiry form if you are interested in this service.